Here it was. After nearly a year of planning we were about to embark on a 10 day trip just me, my mom, and my seven-year-old daughter, Elizabeth. Through three states and multiple stops and places there is no cell phone service. I had a healthy mix of excitement and utter fear, in my opinion. But I had on my game face for my travel partners. 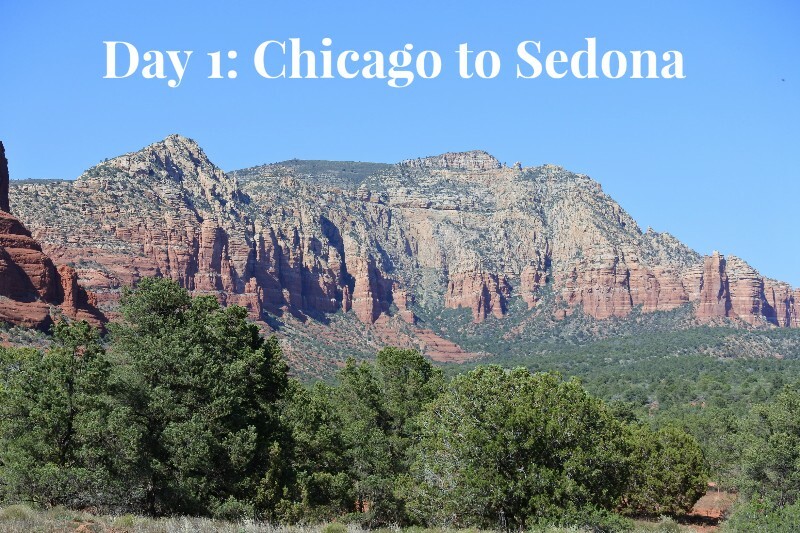 Day 1: We had a 10:25am flight which got us to Phoenix at 12:05pm local time. We grabbed our bags and headed to the rental car center buses. Our bags were first off the carousel and we walked onto a bus right away. I was flying high thinking this was going to be the most perfect trip ever planned. That lasted right up until a lady went the wrong way on the road and nearly crashed head on into our bus. We were seated on the rear seats of the bus thinking these would be safest. Not so much. When the driver slammed on the brakes to avoid the crash I went flying like Superman right down the center aisle. Thankfully my mom was next to Elizabeth and did the mom seatbelt maneuver well enough to protect the little one. My mom had a huge bruise all down her leg, but Elizabeth was perfectly fine. Guess things were still looking up? And for the record I doubt I will ever willingly choose the seats in the very back on the bus facing the front on those shuttles ever again. We picked up our rental car at National. They did not have a “standard SUV” section which is what I had reserved, so we were able to choose from a large selection of SUVs. My mom kept trying to get us into an Expedition, but there was no way I was driving that boat around the mountains and two urban areas. We ended up with a Buick Enclave. It was perfect, with good space for us and comfortable space for our bags. And as I would find out as the trip progressed some pretty amazing gas mileage. Elizabeth was diagnosed with a corn allergy last year, and this has been a learning process for our family. There are very few fast food places that are safe for her to eat. I knew we would be starving after our flight, so my husband had found a Chick-fil-A about 15 minutes outside the airport that was on our way to Sedona. It was a relief being able to just head straight there and know exactly what we were going to devour. 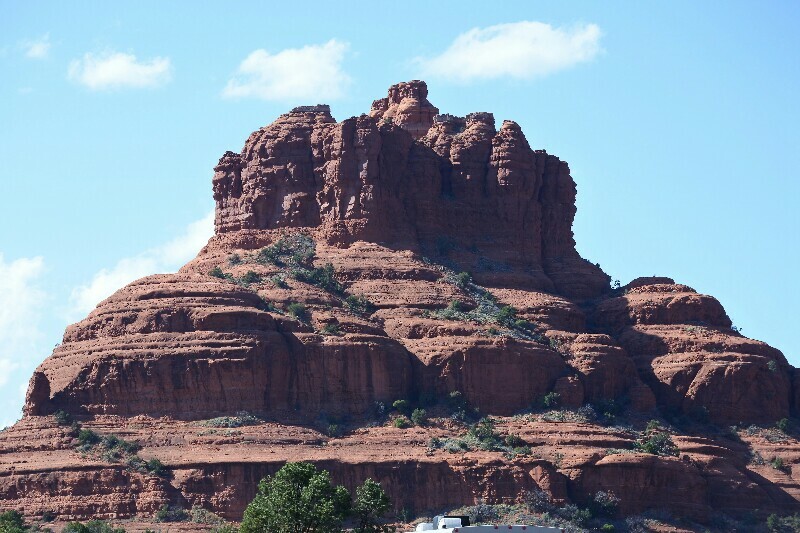 We drove to Sedona, stopping at Bell Rock on the way into town. Before we headed to the hotel we stopped by the large Whole Foods in Sedona (again, a pre-planned food stop for Elizabeth-safe foods). I had made a list before we left, so we picked up some picnic lunch and breakfast items and were on our way to the hotel very quickly. It was well worth the small time investment in my opinion, even if you have no allergies. 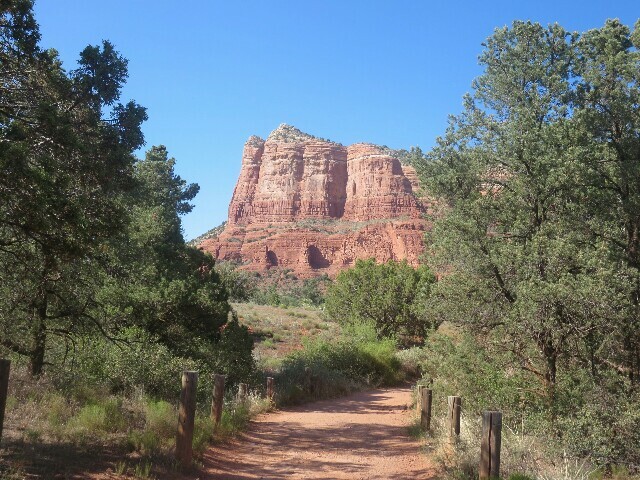 We stayed at Hyatt Piñon Pointe which was close to some shops and restaurants. We got to the hotel and checked in about 5:30pm (7:30pm Chicago time). Once we got the room keys we dropped the luggage, put cold stuff in the fridge and walked the few blocks to the Cowboy Club. 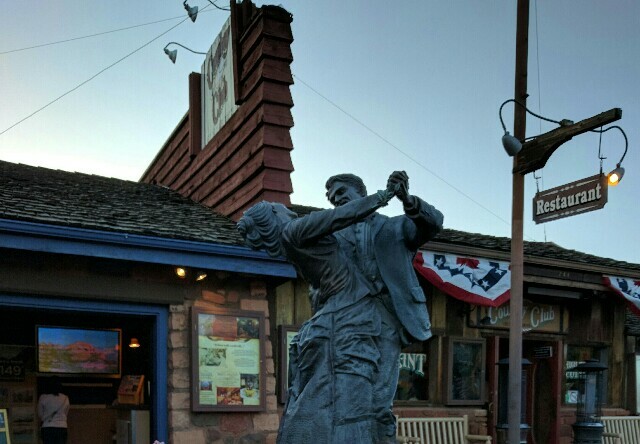 It opened in 1946 as the Oak Creek Tavern and was frequented by old Hollywood actors when they were filming out in the desert. The Cowboy Club had good atmosphere, fair food and was a historic place. I’m glad we did it once, but not sure we would go back if in the area. The service was prompt and we got back to our room before it got much later. We quickly readied ourselves for bed and all promptly fell asleep.